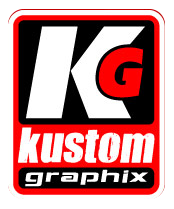 Christmas down under is arriving early for car owners this year as Kustom Graphix, a leading provider of signs in Perth, offers a $250 discount on vehicle wraps for all of November. Summer in Australia is often the time when people go out and unwind under the hot sun. This is your chance to attract more customers to your business just by letting your official vehicles pass. With our month-long promo, you can get your company cars wrapped around with eye-catching visuals that reflect your brand, product, or service.